The Ward ‘C’ Chapter of the All Progressives Congress (APC) in Mushin Local Government Area of Lagos State has upheld the decision of its Disciplinary Committee recommending the suspension of the embattled National Legal Adviser of the party, Muiz Banire for a period of ten years for allegedly engaging in various acts of anti-party activities and misappropriation of campaign materials and logistics. The chapter had set up the committee chaired by Mr. Bolaji Abass to investigate the allegations contained in a petition written against Banire by two members of the party in the area, Olukayode Tunde Tolu and Mr Ayodeji Adebayo. Other members of the Committee included Laide Badru (Secretary), Mr Wunmi Bewaji (General Counsel) and Muinat Mustapha, while the sitting of the Committee was held on August 14, 2017 at Bishop Aggey Memorial School, Ilasamaja, with Banire shunning invitation to defend the allegations against him. 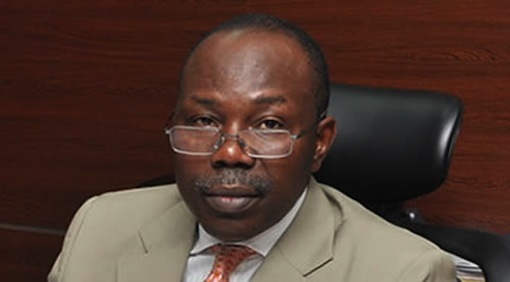 According to the petition, the petitioners (Olukayode and Adebayo) alleged that aside the fact that Banire had been continuously absent from ward meetings for more than two years contrary to Article 9 (2) (iii) of the party’s Constitution, he has also been engaging in unrestrained media campaigns against the party, its organs, leaders and functionaries, a development deliberately calculated to embarrass the party and bring it into disrepute contrary to Article 9 (2) (I) of the Constitution. “That the member (Banire) collected campaign “materials and logistics” – for the 2015 general elections and the recent Local Government Elections without deploying, disbursing or applying same for the benefit of the party. He has failed to pay, as at when due or howsoever, party dues and levies. After reviewing the allegations against Banire, the Committee, in its decision, held that the embattled Legal Adviser be suspended from party activities as well as debarred from holding any party office or contesting public office on the platform of the party for a period of ten years. Meanwhile, the Committee on Wednesday submitted its report to the Ward C Executives of the party, after which the recommendations were upheld following its adoption by party members. While receiving the report, Acting Ward C APC Chairman, Mr Omobolaji Amusan said the report would be forwarded to the Mushin Local Government Chapter of the party for necessary action. He said: “We decided to set up this Committee to give the respondent (Banire) fair hearing on the allegations written against him by members of the party in respect of anti-party activities and misappropriation of campaign materials and logistics. “Unfortunately, he decided not to honour the invitation of the Committee and the Committee has made its decision which the party has adopted at the Ward level. “The report has been given to me and I promise that it will be delivered to the LGA for onward submission to the party at the State level after which it will be forwarded to the national body,” Amusan said.